Seaton Sluice, Whitley Bay, Northumberland, NE26 4QR. 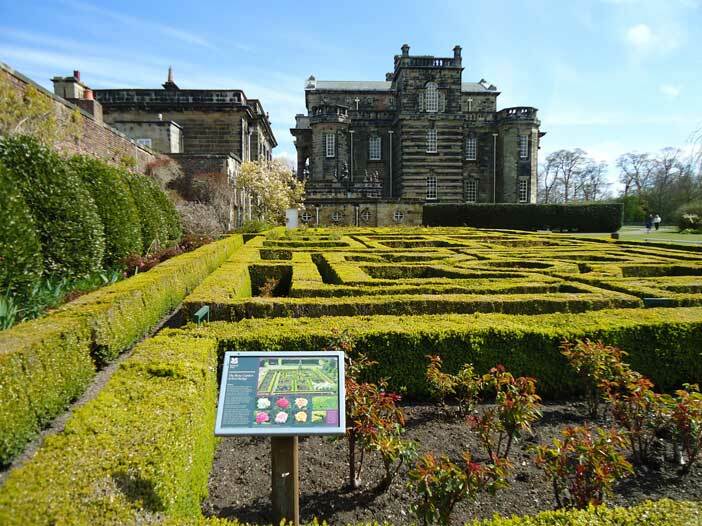 Seaton Delaval is now in the care of the National Trust. After the death of his parents, the current Lord Hastings asked them to take on the mammoth job of looking after and restoring the Hall. 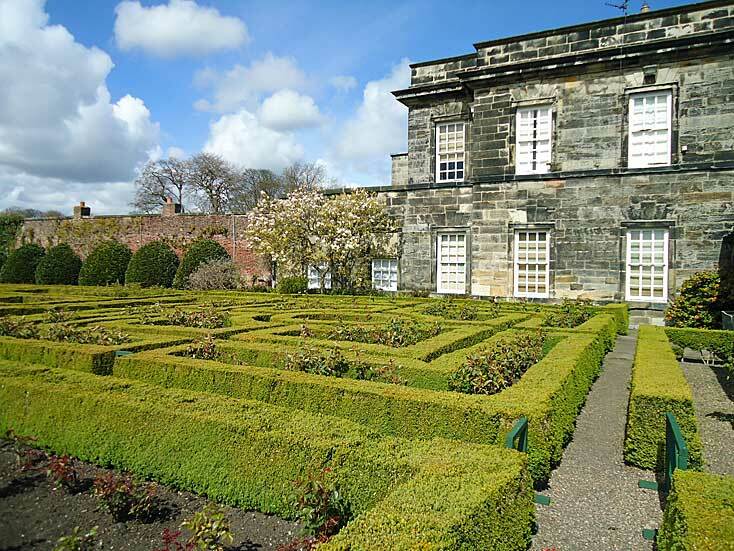 After fourteen months of very successful public fund raising the Trust received Seaton Delaval Hall in December 2009 on behalf of the nation. In 2012 and early 2013 a major restoration project was begun including putting roofs back on which were destroyed in catastrophic fires in 1822. A large amount of money has been given to this project by the company Sita through the Landfill Communities Fund and it’s great to see that some things benefit from the waste disposal industry. Eighteenth Century and the attentions of billeted troops during both World Wars in the Twentieth left it in a sorry state until now. The building was commissioned by Admiral George Deleval but he tragically died in a riding accident and it passed to his nephew, Captain Francis Blake Delaval before it was completed and so began the legend of the “Gay Delavals”, of which more anon. But we don’t want to tell you that. We’re here to see the garden. 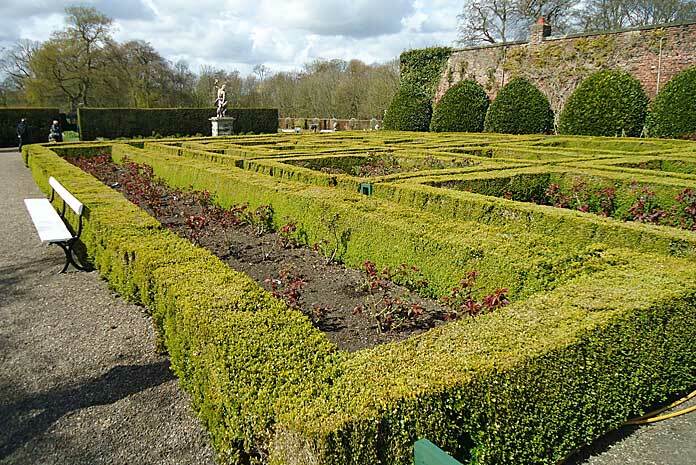 Lord Hastings commissioned Jim Russell of Sunningdale Nurseries in 1950 to design a parterre to replace a derelict rose walk. He became so proficient at his task that he went on to work at Castle Howard in Yorkshire creating an internationally renowned arboretum. 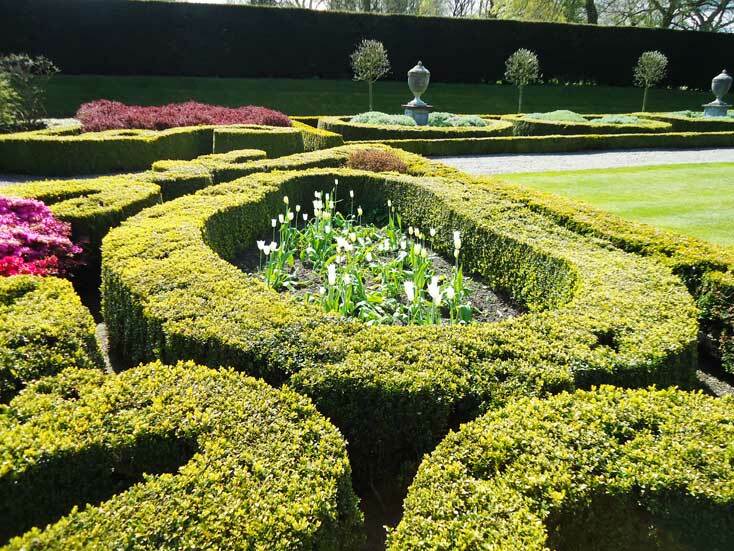 During the 1950’s and 60’s mainly under the direction of Lord Hasting’s wife, tennis courts were torn up, hedges laid and lawns established to give a fine sweep to the formal garden. 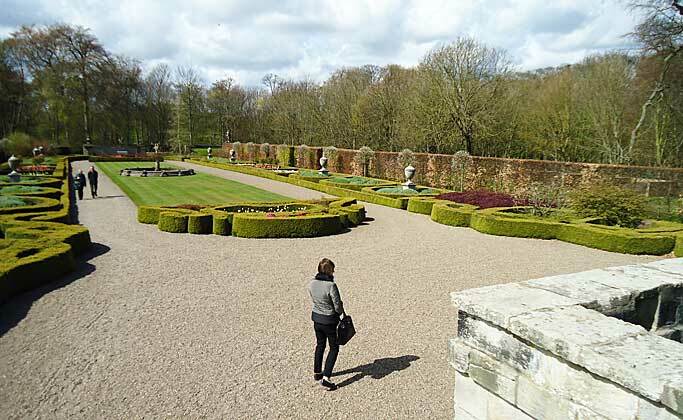 The side parterre is the first part of the garden you reach from the National Trust kiosk. That is if you don’t decide to go through the buildings and like me you always head for the gardens first. The hedges are unusually tall and broad but perfectly kept and they are inter-planted with a selection of roses. The bushes pop over the tops of the hedges and then you realise that their height is deliberate although you do have some sympathy with the gardeners who have to straddle the hedges to get inside and prune or weed. and planting and they blend in well and actually enhance the view. They have also laid paths and generally made the approaches to the garden and the journey round it more accessible than when I was first here before they took it over. Many of the organic shapes in the main parterre are inter-planted with a variety of things from the ephemeral tulips to the sturdy azaleas. There is also santolina, berberis, euonymous and lavender with a smattering of annuals. around the edges are standard wisteria trees which add to the formality but give a riot of colour in the late spring. 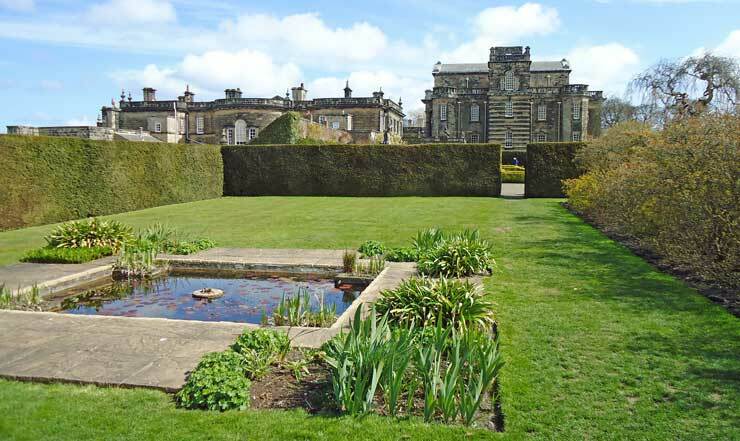 Although not exactly Hidcote there is a garden room to the edge of the side parterre where one can seek sanctuary. 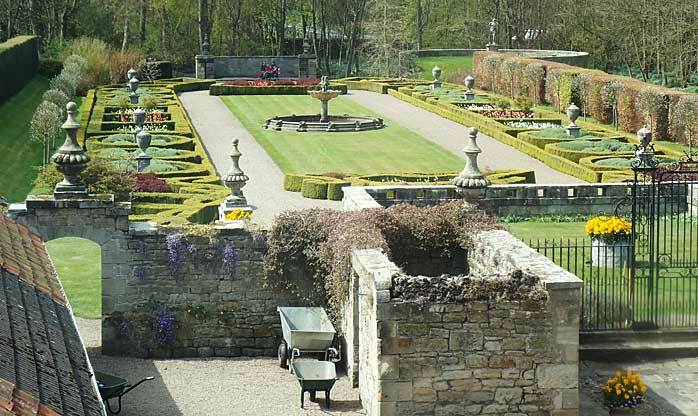 High yew hedges enclose the space and there is a perfectly proportioned pond with stone frog fountain in the middle. A nice touch is that there is a summer house to one end where you can look at the garden on a cold day or with a glass in hand. When you approach the summer house from the other side in the informal garden you wonder why it has been placed in such an odd spot but all is revealed when you see the other side. When I first went to Seaton Deleval you could only visit the great Hall with place to go if you can manage the steep flight of steeps from either the front or the back. Nowadays you can visit upstairs and even thecellars as well and over the years it looks like the Trust will renovate a room or two back to its former Georgian glory. 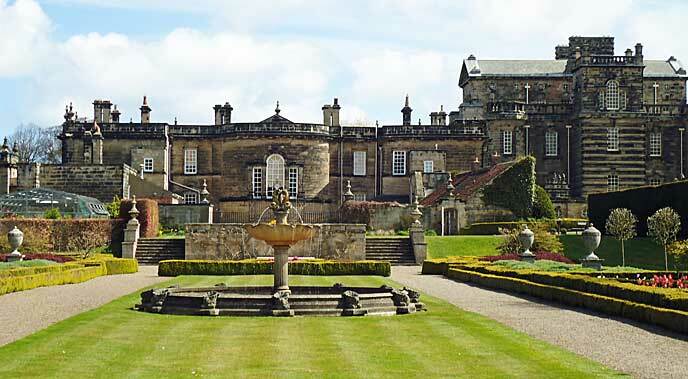 Not to be missed also is a visit to the West Wing which is now open and you can wander around the rooms which the family lived in in more recent times and even see the parterre from Lord Hasting’s bedroom. there’s are few fine paintings and embroidered furniture and more besides to keep the history buffs entertained. The original family were known as the Gay Delevals at the time the hall was in its heyday for their pursuit of the high life and for playing practical jokes on their guests. The Deleval family precedes Vanbrugh’s building by many centuries and were instrumental in forcing King John to sign the Magna Carta. A fire seriously damaged the central block of the hall in 1822 and it remained in disrepair until 1860. The hall was not occupied again until the 1980s when Lord Hastings began to reside in the west wing.Thefamily rightfully exploited the mineral resources on their land with coal providing a solid source of income opening the Seaton Delaval Colliery in 1838. Captain Francis had eight sons and four daughters who where all great party goers. The captain’s eldest son, Francis Blake Delaval whose reputation outflanked all his siblings and he largely spent life in debt living a life he could not afford and eventually had a splendid funeral almost as lavish as his life.